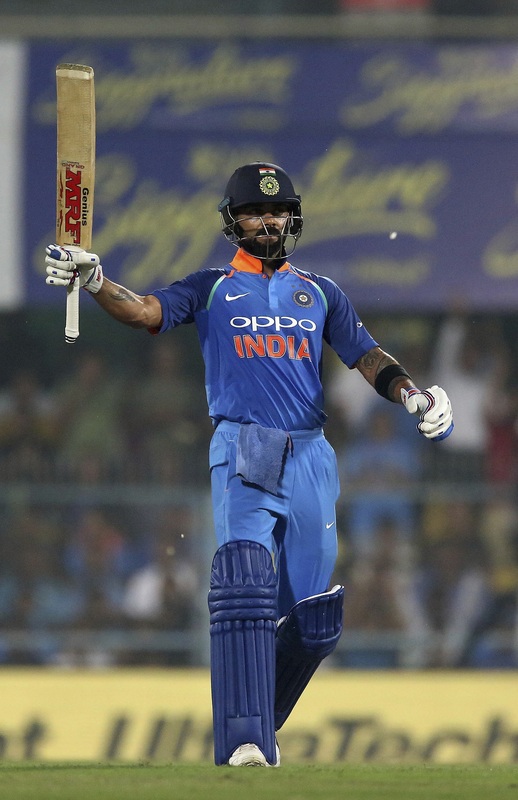 India skipper Virat Kohli, on Wednesday, achieved yet another milestone during the ongoing second ODI against Windies. The 29-year old became the fastest to complete 10,0000 runs in ODI cricket. Kohli achieved the feat when he reached the 81-run mark. Just like the previous game, The right-handed had to come to the crease early again as Rohit Sharma was sent back by Kemar Roach for just 4. India soon found itself in further trouble when Ashley Nurse accounted for Shikhar Dhawan to leave the hosts reeling at 40 for 2. However, Kohli and Ambati Rayudu stitched together a partnership of 139 runs to bail India out of trouble. Nurse broke the stand when he castled Rayudu for 73. And shortly after Rayudu’s departure, Kohli achieved the milestone of completing 10,000 runs in ODI cricket. He broke Sachin Tendulkar’s record to become the fastest man to achieve this record. Kohli reached the feat in just his 205th innings while Tendulkar reached the milestone in his 259th innings. Kohli also became the fourth Indian and 13th overall to score 10,000 runs in ODI cricket. During the course of the innings, Kohli also went past Tendulkar to become the Indian player with most runs in ODIs against Windies. He reached the feat when he crossed the 47-run mark during his knock. Kohli had achieved several milestones when he scored 140 in the last match. The hundred was Kohli’s fourth in ODIs in 2018. He had earlier smashed three centuries against South Africa in January. With the century, he reached the landmark of 60 international hundreds (36 in ODIs and 24 in Tests) and became the fastest to do so. He reached the landmark in 386 innings, taking 40 innings fewer than Sachin Tendulkar. It was also his eighth century while chasing 300-plus totals in ODIs which is the most by any player. The next in the list is Kumar Sangakkara who scored four tons during such chases. 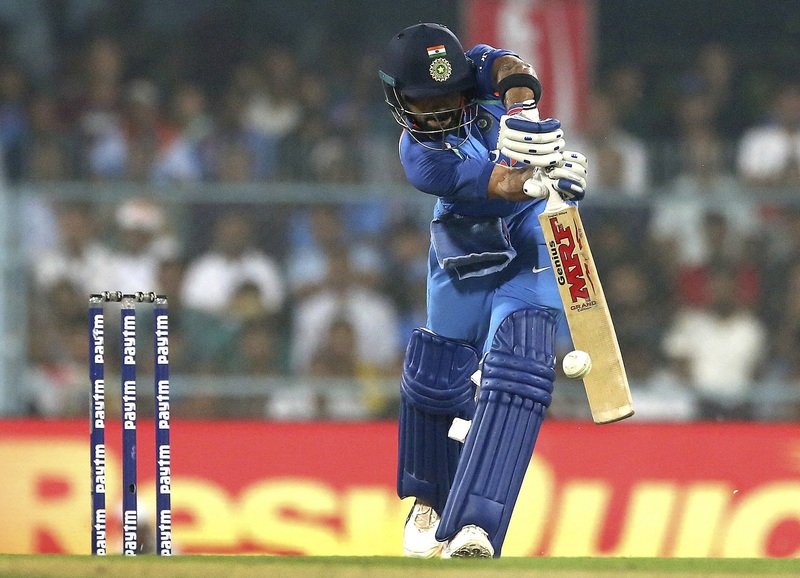 During the knock, Kohli also breached the 2,000-run mark in international cricket this year. He thus became the 4th player to score 2000+ International runs in four consecutive years. He is also the 4th player with 2000+ International runs in five or more different calendar years. The Indian skipper also became the first to complete 2000 International runs in the ongoing year. The 29-year old scored his 14th hundred as India’s ODI captain. He is now second in the list of most ODI centuries as skipper. The list is led by former Australia skipper Ricky Ponting who scored 22 hundreds in 230 ODIs.